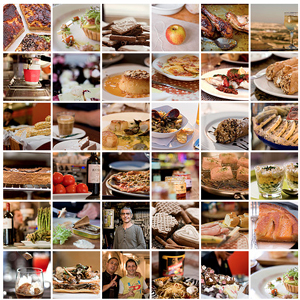 As you may have noticed, I am a quite the incurable food tourist- which is why La belle France, with its rich regional diversity and world-renowned gastronomy, never ceases to amaze me, or my stomach. This recent addition to my French Food Travel series takes us to the stunning coastal region of Bretagne know in English as “Brittany” where the local cuisine and characters serve to reveal the history and culture of this region. I shot a little video this time so here are the highlights – this time more in the form of a photo reportage. All images are credited to Alexandre Planchot unless noted otherwise. 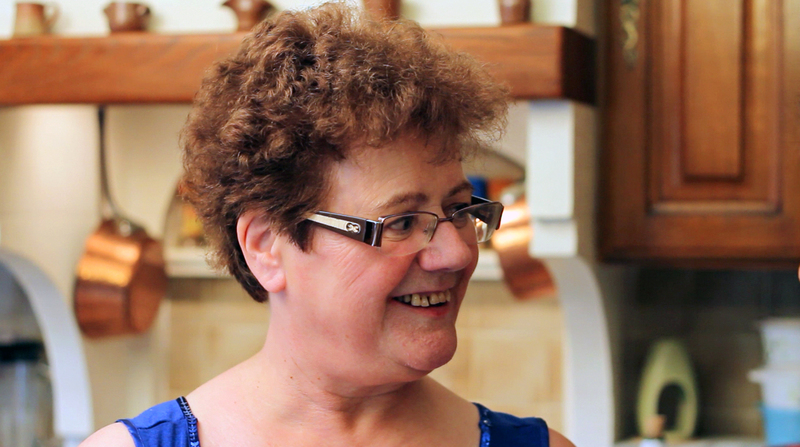 First up, we must meet our local host, and the star of this story- Martine. 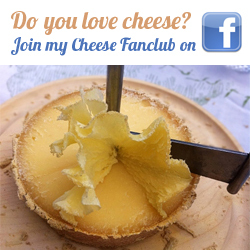 Martine is from Brest in Brittany where she’s most famous for her tried and tested family recipe for ‘La Lotte à l’Armoricaine’(Recipe at end of this article). When she cooks this dish, her children just happen to be free for dinner that night, and the family cat is never lucky enough to get leftovers for dinner. 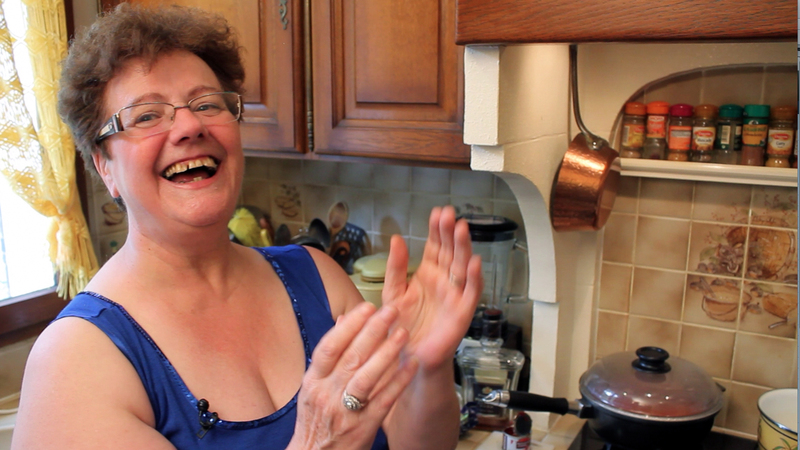 Martine loves nothing more than the knowledge that her recipe is the best in town. This peninsular region in the North West of France along the English Channel has a turbulent, divided past and fierce sense of self identity. Previously a kingdom and then a duchy, Brittany was united to the Kingdom of France in 1532 as a province. Brittany occupies a large peninsula in the north west of France, lying between the English to the north and the Bay of Biscay to the south. The historical province of Brittany is divided into five departments including the Côtes-d’Armor in the north, from where this traditional dish originates. Today, French is spoken throughout this region, but Breton- a Celtic language that most present in the west, can still be heard all over Brittany, and Gallo, a romantic ‘langue d’oil’ is still spoken in the east. 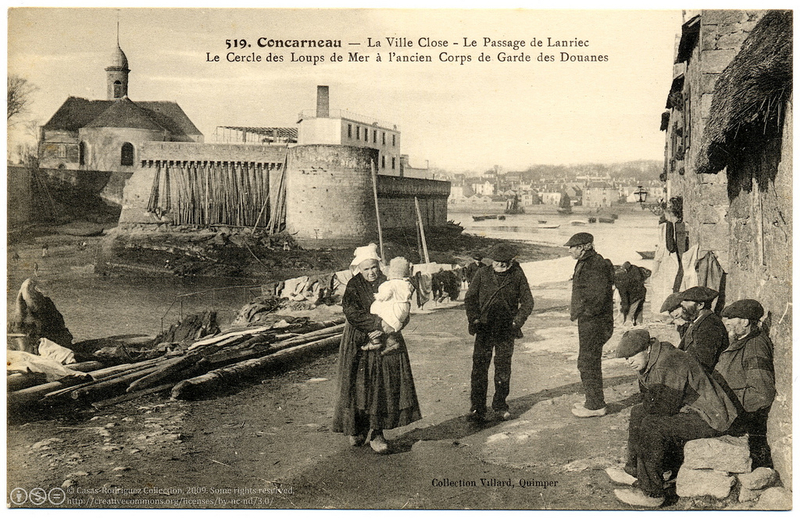 The Fishing Port, Brtagne / Brittany, France. 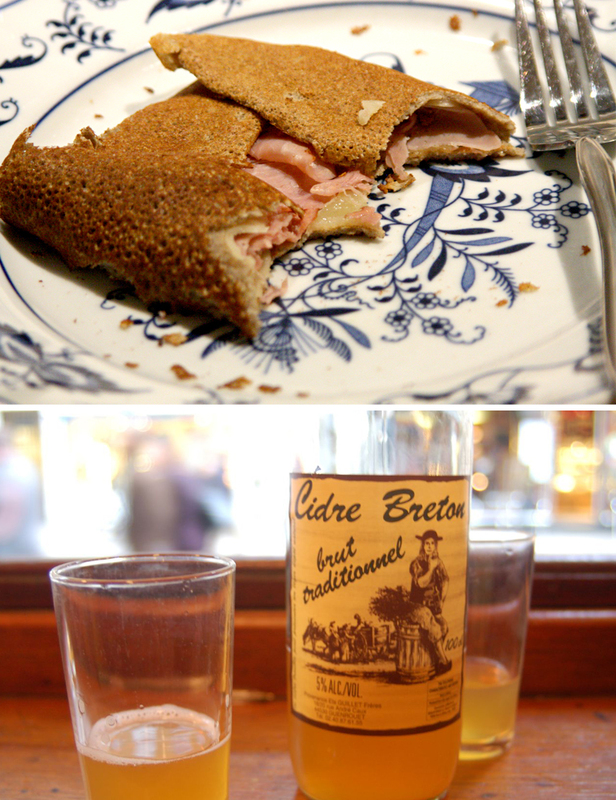 Image Credit: Flickr user "bpmm"
Not forgetting of course the now world-famous crêpes and galettes, to be washed down with a good pint of local Breton cider. 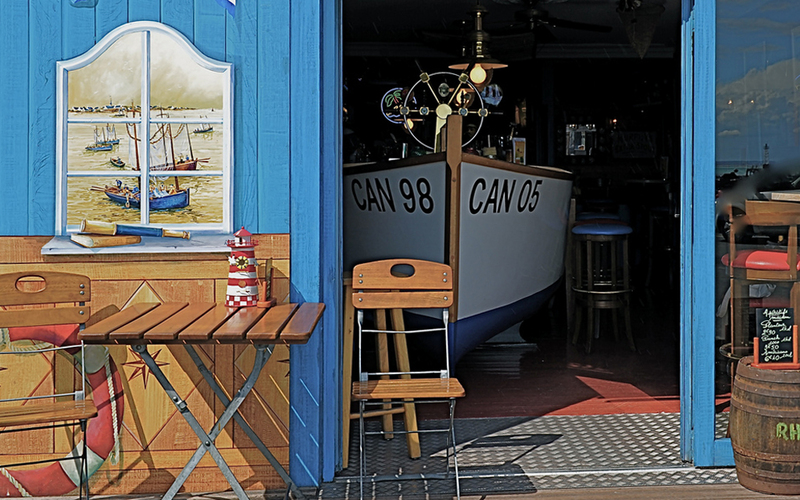 And then there is Cancale, on Brittany’s Côte d’Emeraude, where to eat anything but oysters would be absurd– since this region, thanks to its favourable geography sheltered from the strong winds and currents found on north Breton coast, produces France’s finest oysters and shellfish. 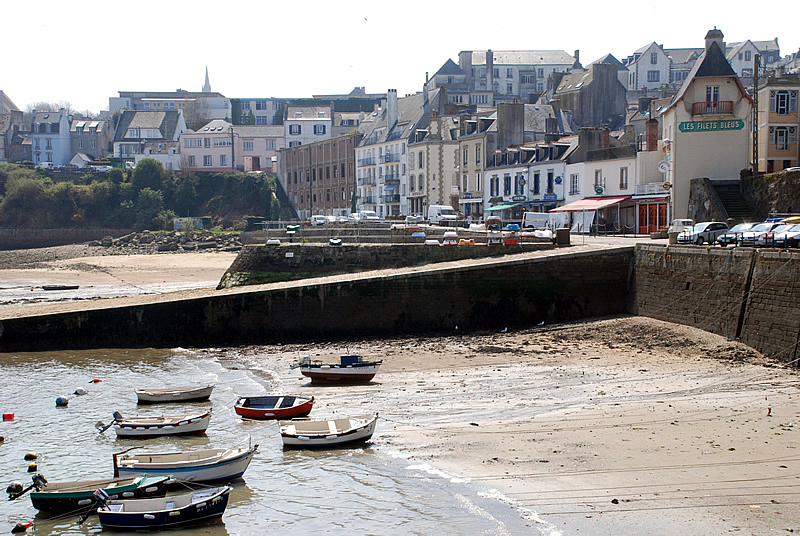 Brittany: Pretty as a picture. 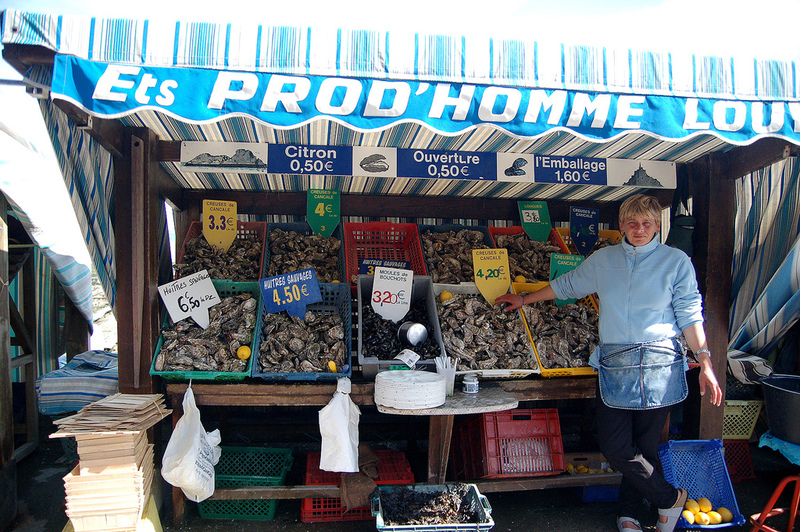 Image credit: Flickr user "zenithe"
The sauce à l’Armoricaine is a traditional French recipe from coastal Brittany where it is most commonly prepared with shellfish, or used to flavour firm white-fleshed fish such as La Lotte or Monkfish– otherwise known as poor man’s lobster. It’s creation dates back to1860 when it was first made by French chef Pierre Fraisse- a Breton who had been working in Chicago and recently returned to Paris where he opened his own restaurant serving traditional Britannic cuisine. Legend has it that late one evening some customers arrived at his restaurant hoping to be served dinner just before closing time, and so they had less than an hour to eat. Using the products at hand- a few lobsters and the chef’s staples such as aromatic herbs and fresh tomatoes, he was too pressed for time to slowly cook the lobster in a bouillon (seafood stock) as he would normally do, so instead he flambéed the lobster flesh in cognac and cooked it in a sauce of diced tomato, white wine, garlic and fresh herbs. The dish was a big success with his late night diners and when they asked what the dish was called, he named it on the spur of the moment- “Sauce Américaine”- in homage of his recent stint in America where he learnt to prepare delicious dishes but make them much faster to suit the pace of his American clientele! Bright and early at 9 am and we’re at Martine’s local market where she comes at least three times per week to buy fresh produce. 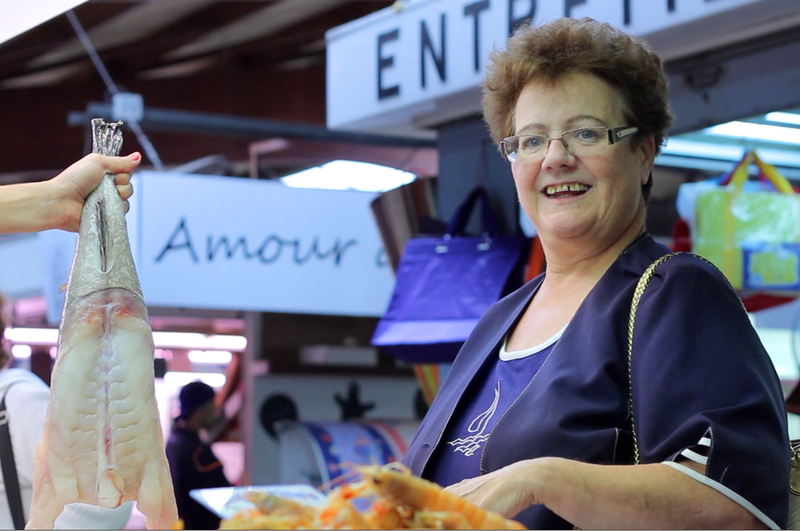 La Lotte (Monk Fish) is in season, and all the ingredients for the day’s meal are sourced from her favourite market suppliers- and I can see why she loves coming here. Meet Monsieur Marcel- Martine’s poissonier du marche. What a man. 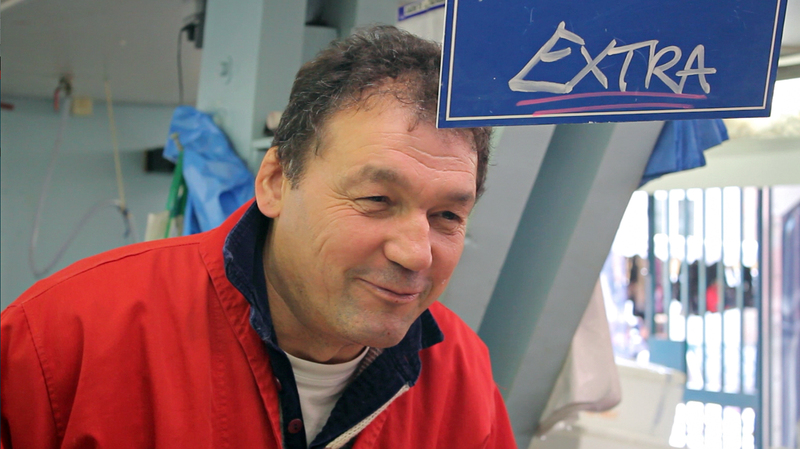 Marcel wakes up, rain, hail or shine, at 3am each morning to collect and deliver the freshest seafood; and on this day, he had specially set aside for Martine the best looking Monkfish of the day’s haul. The Monkfish is an angler-fish which comes from la mer du nord and is in fact, really really UGLY. Wondering if the effects of its hit by the ugly stick was the reason that it’s rare to spot an entire fish (with its head and all) at the markets, I asked Marcel the question. It turns out the big ugly head of the monkfish actually takes up more than 50% of it’s body weight and aside from the cheeks, is mostly inedible, thus the fisherman immediately throw the heads overboard so save weight and storage space for the long journey back to the mainland. 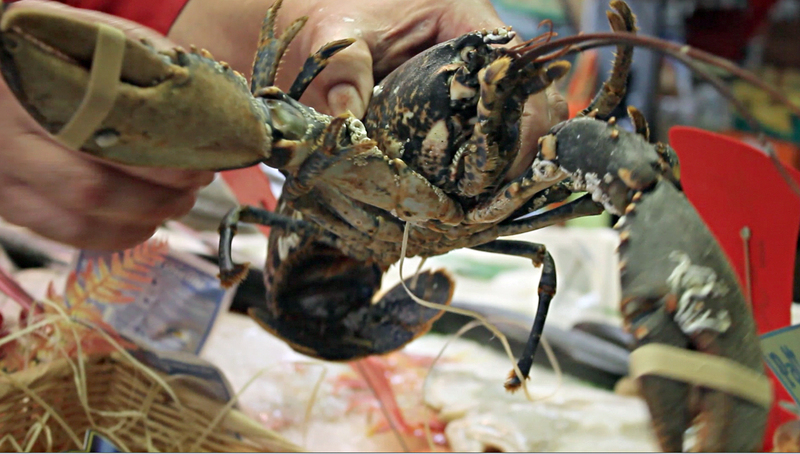 This fish has a very bland but firm flesh and so has been used traditionally and still to this day, as a replacement for Lobster- thus the name “poor mans’ lobster”. Saying that, the economic factor is becoming somewhat obsolete since it’s now not uncommon to pay over €30/kg due increasing costs related to boat fuel and transport. Thicked skinned. 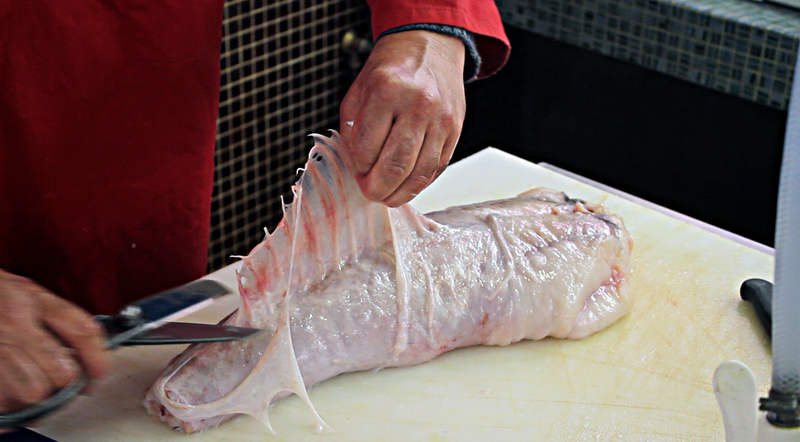 La Lotte (Monkfish) has seven layers of skin which also cover the dorsal. Martine then did her rounds at her favourite fruit and vegetable stalls picking up fresh herbs, onions, garlic, tomatoes, lemons, and lastly cheese (for the cheese course after our meal bien sûr), then before I knew it we were back in the wonderful home kitchen of Martine- the place where all the magic happens. 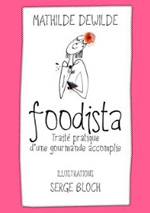 Martine et sa cuisine. Are you ready? 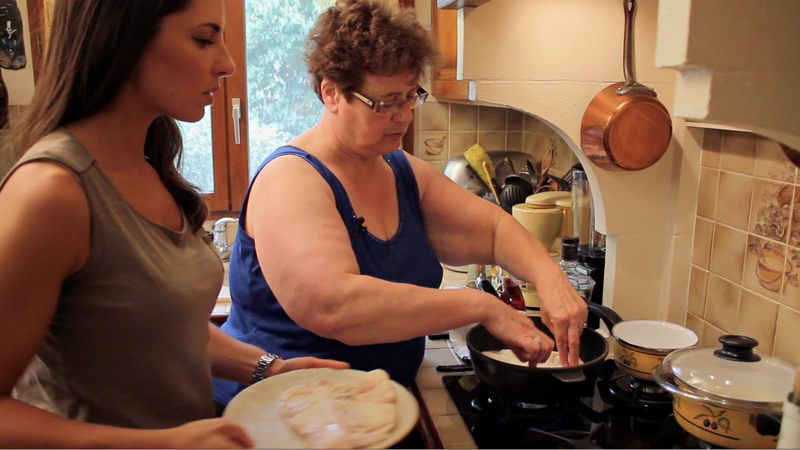 Martine’s recipe for la Lotte Armoricaine was handed down to her by her mother, and has been a special Christmas and celebratory dish cooked by the women of her family for more than four generations. Due to the given name of this dish, to this day a battle of recipe ownership exists between the Americans and the French, who commonly refer to the sauce respectively as either Americaine or Armoricaine– ‘Armorique’ being an ancient name for the northern region of Brittany where the coast is called les Côtes d’Armor. ‘Americaine’ as labelled by chef Pierre, suggests ownership to the Americans, and ‘Armoricaine’ implies that it originates from the French Armorique coast. 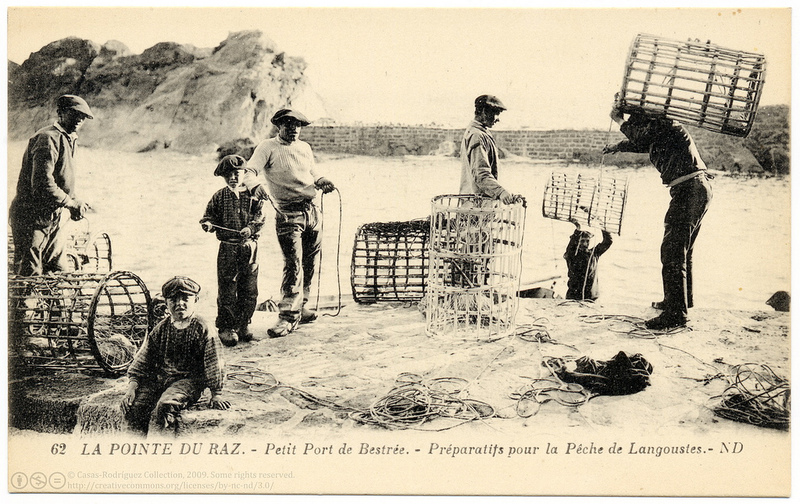 Most Bretons today claim that the simply must recipe must come from Brittany, since all ingredients are typical of the region and because Lobsters have been fished for generations by their local fishermen. Regardless of the friendly food tug of war between them, this dish combines the best of both worlds- the rapid preparation techniques of the Americans, and the rich flavours and regional produce that the French are famous for. 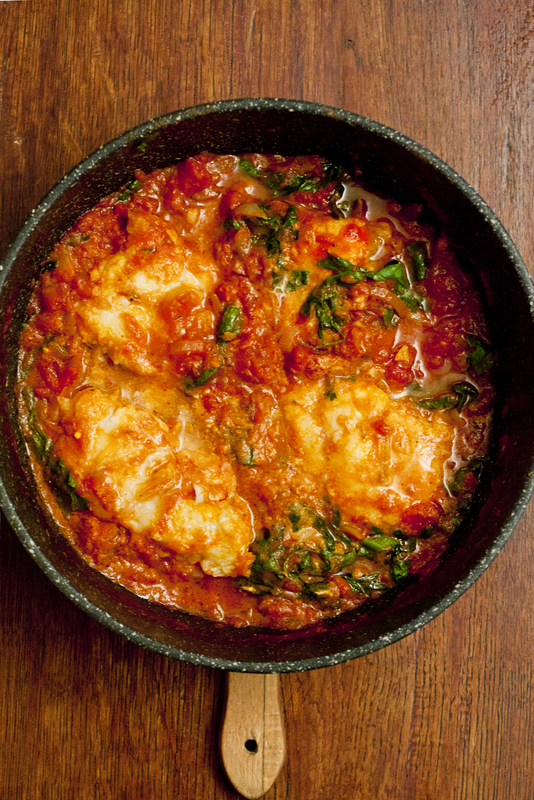 A relatively simple dish, the sauce is quick to prepare and the fish is cooked twice- first coated in flour, pan fried in butter and then flambéed in cognac. 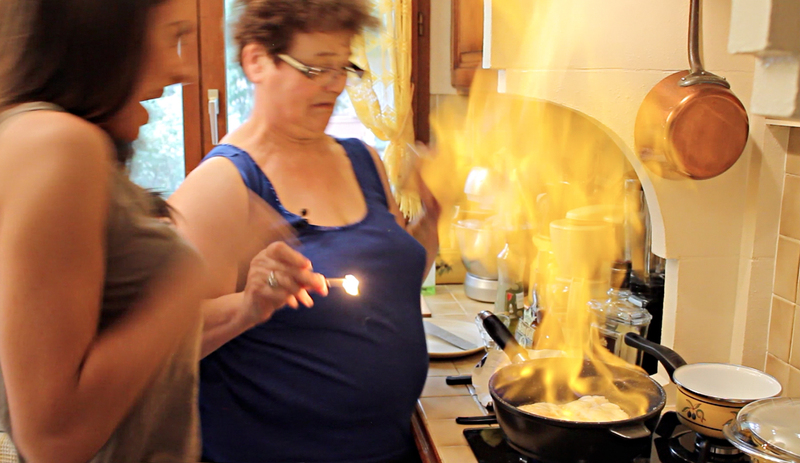 When Martine poured out a shot glass of cognac in front of me I was wondering why she was offering me a digestif before the meal…then before I had time to ask, it was poured into the pan and then well…. 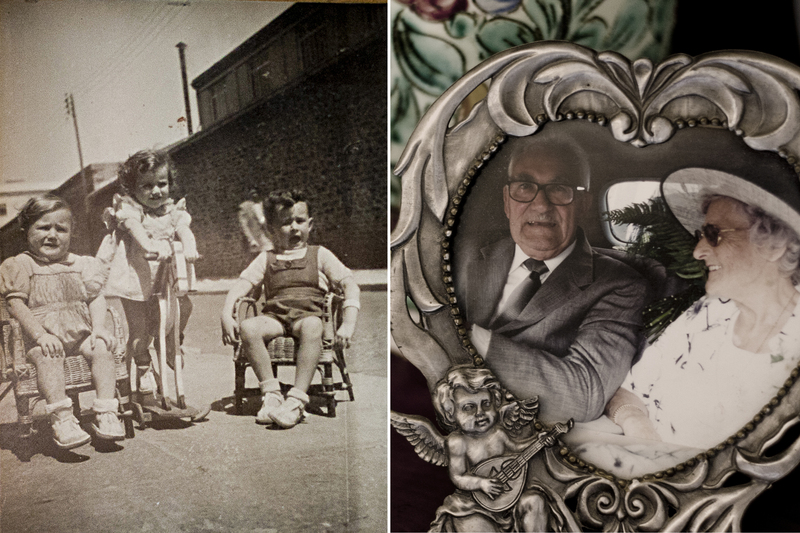 the photos say it all! Ohhhh now just a little cognac flambée.... I mean... 2 foot fire in the kitchen!!! The satisfied grin. 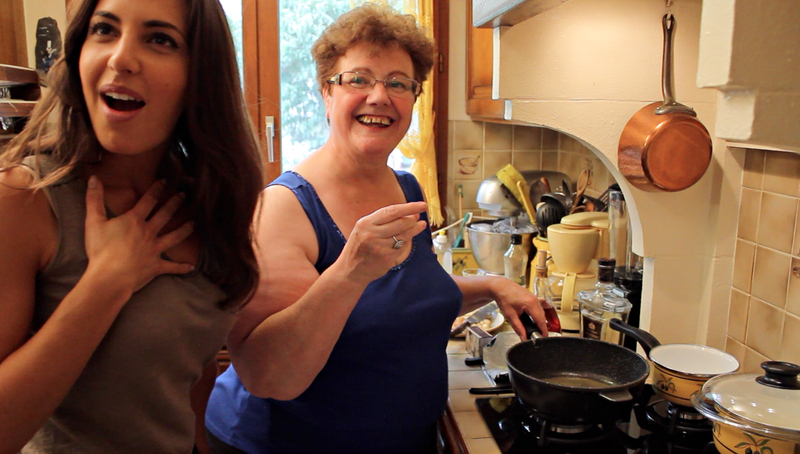 Just an average day in the la cuisine de Martine! "O.M.G. Do I still have my eyebrows???!!!" 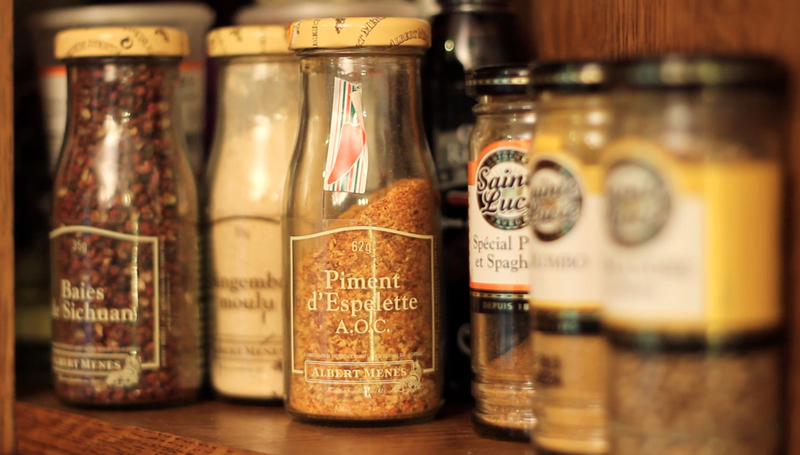 Secret's in the spices. Real saffron and piment d'espelette make all the difference. Once the sauce has significantly reduced, the fish is then returned to the pan and cooked for a further 5 minutes only- cooking the fish longer than this can quickly render the flesh tough and dry. The sauce must always be cooked slowly and gently, and no additional salt or condiments are required as an enormous amount of flavour is gained through the caramelisation of the sugars in the wine and cognac and the existing saltiness in the salted butter of Brittany. Martine swears by using Britannic butter, insisting that the salt from the Britannic ocean, when combined with products of sea and terroir, creates a truly special result that cannot be reproduced in absence of these specific products of the region. And well, there you have it. We couldn’t wait any longer to tasted it so we decided to taste it right out of the pan! Chin Chin! We couldn't wait any longer so we tasted it straight out of the pan and washed it down with a good chablis. Santé! Super bon! This dish turned out to be surprisingly simple and was honestly one of the most satisfying, delicious, homely comfort food meals I have ever eaten. 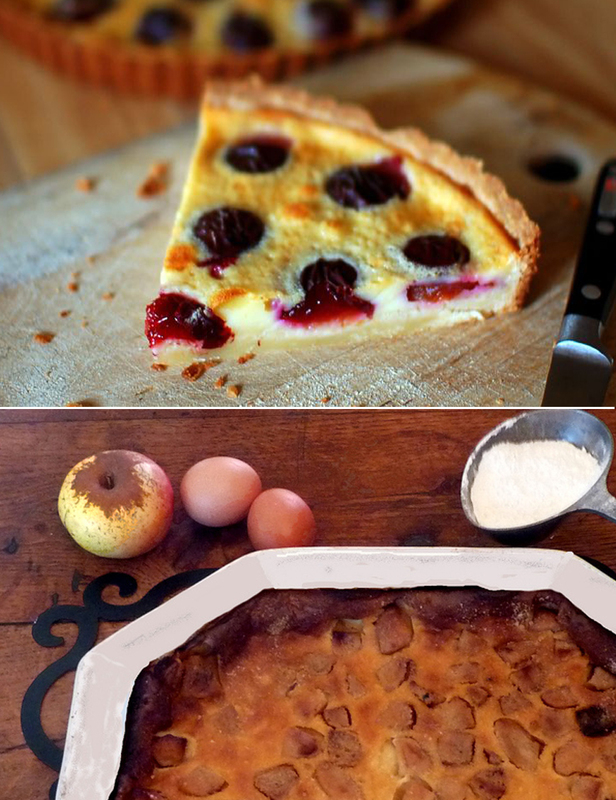 Martine has been kind enough to share the recipe (please find below) but in all honesty, I’m sure that no one can reproduce it to be the same as her homemade, 4th generation family recipe goodness. La lotte a l'Armoricaine. The finished dish. Of course in the end we plated it up, set the table à la Française and served with rice. Bravo Bravo et merci encore Martine! •	Small pinch piment d’espelette (a special Basque-country, dried spice). The monkfish is a tricky fish to prepare by yourself so it’s much easier to have the monkfish prepared and cut into medallions by your fishmonger. Coat the fish fillets lightly in flour. In a heavy-based or good quality cast-iron pan, melt the butter and add the olive oil so that the butter does not burn. Place the monkfish fillets in the pan then add the cognac. Light the cognac with a flame and flambé. 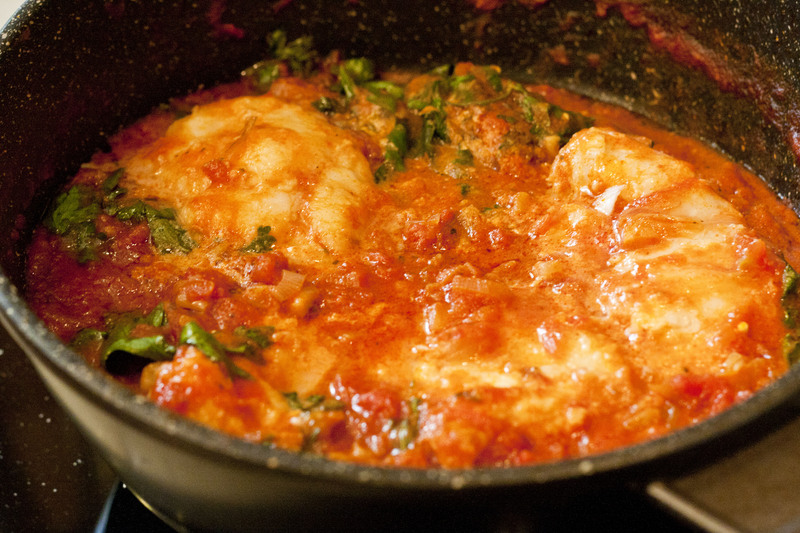 Take the pan off the heat, place the fish aside in a separate dish and put it aside to rest. Finely dice the garlic, onion and shallots. 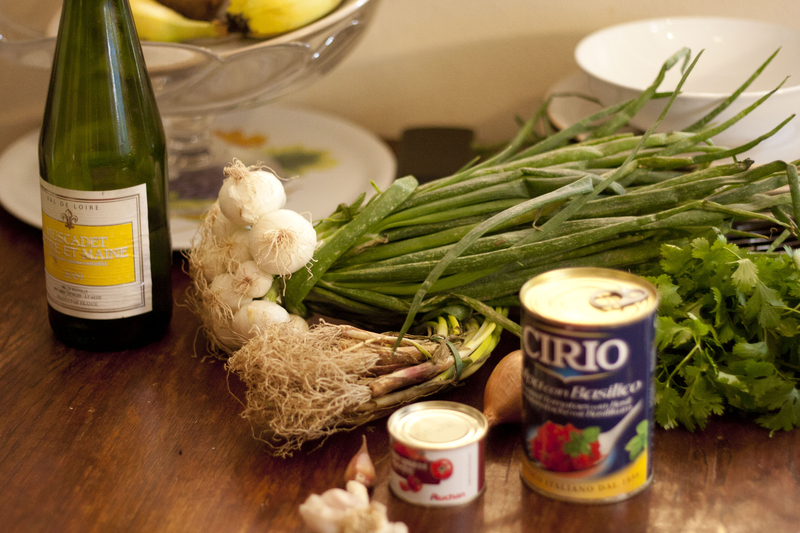 Gently cook the garlic and onions in the flambéed saucepan then the tomatoes, fish stock, white wine, piment d’espelette and herbs de Provence. Allow to simmer gently until the sauce has reduced and concentrated in flavour, for at least 20 minutes. Finally, add the pieces of fish to the sauce in the pan and cook for only a further 5 or so minutes. 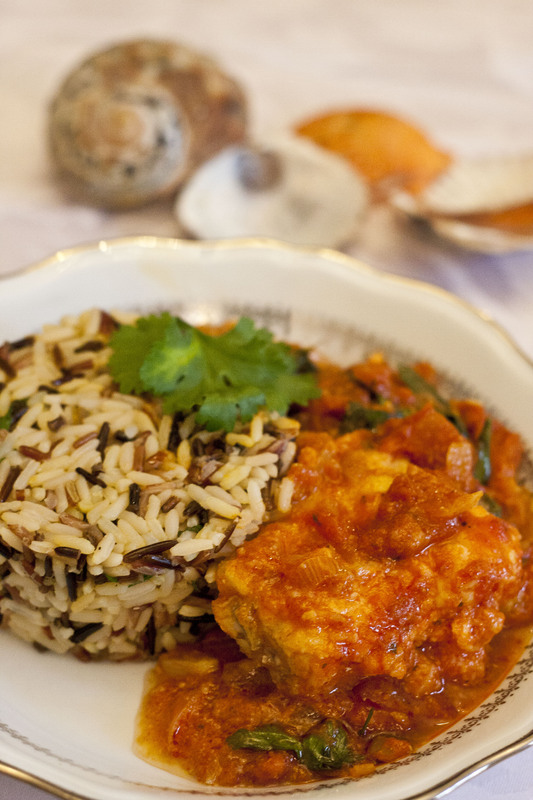 Just before serving, add fresh coriander and saffron, salt and pepper to taste.